A police marksman who shot and killed an unarmed man was acting on "out of date" and "inaccurate" intelligence, a public inquiry has heard. Anthony Grainger, 36, was shot once in the chest during a Greater Manchester Police (GMP) operation in Culcheth, Cheshire, in March 2012. 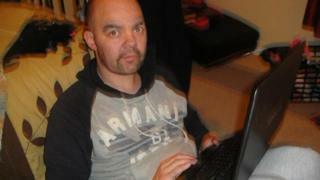 The inquiry into his death heard police believed he was preparing for an armed robbery. The police watchdog made 16 findings critical of GMP. The Independent Police Complaints Commission (IPCC) found the marksman may have committed a criminal offence. The case against the officer, referred to as Q9, was referred to the Crown Prosecution Service but it was decided not to proceed to trial. Inquiry counsel Jason Beer said prosecutors decided not to bring charges as a jury "would accept that the officer did believe his actions were necessary and that the level of force used in response to the threat as he perceived it to be was proportionate". The public inquiry at Liverpool Crown Court heard Mr Grainger, a father-of-two, was suspected of being about to take part in an armed robbery. But Mr Beer said the IPCC investigation uncovered serious failings by GMP and individual officers. The IPCC found the investigation, known as Operation Shire, relied heavily on "out of date" intelligence in relation to Mr Grainger and that briefings to officers contained "inaccurate information". Sir Peter Fahy, who was the chief constable of Greater Manchester Police at the time of the shooting, had been charged with a health and safety offence. But the case collapsed after it was ruled that police evidence was so secret that it would not be in the public interest for it to be revealed in court. Mr Grainger's inquest was converted to a public inquiry in March 2016 by the then Home Secretary, Theresa May. The inquiry, chaired by Judge Thomas Teague, is expected to run until 21 April.